Why is it that tenants always seem to get locked out while you’re on vacation? Key lock boxes cost about $20-30 and will save you hours of heartache. 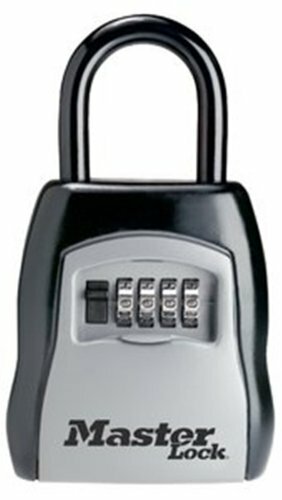 With a key lock box, you can just give your tenants the code and they can let themselves in. I prefer the Master Lock Key Box with a steel loop, which allows me to relocate it to other properties as needed. I wouldn’t “advertise” that you use a key box, and I never position it visibly out in the open. I always secure it to something heavy or fixed in place – like a gas pipe meter, or metal railing behind a bush. When giving the combination to a tenant, I always tell them to put the key back in the lock box IMMEDIATELY, and they will be responsible for re-keying the entire property if they lose the key. I update the lock box code after every use, especially on multifamily buildings. The last thing I need is for a tenant to give the combo to a friend or family member who will then use it whenever they want (or worse – lose the key).